Warehouse Clearance Sale. Includes Brand New Items. Our Loads are sold at a percentage of wholesale value and have historically been very profitable for retail stores and wholesalers due to these loads' wide variety of items and low prices per unit. Great for Online Re-sellers, eBay and Flea Market Sellers. Please note that these are items are mostly still in retail packaging most as good as new. We have not inspected or tested these items. This Listing is for the full pallet (Approximately 100 Items). The images in this listing are not actual images of what you'll be receiving but a representative sampling of what is in the lot. 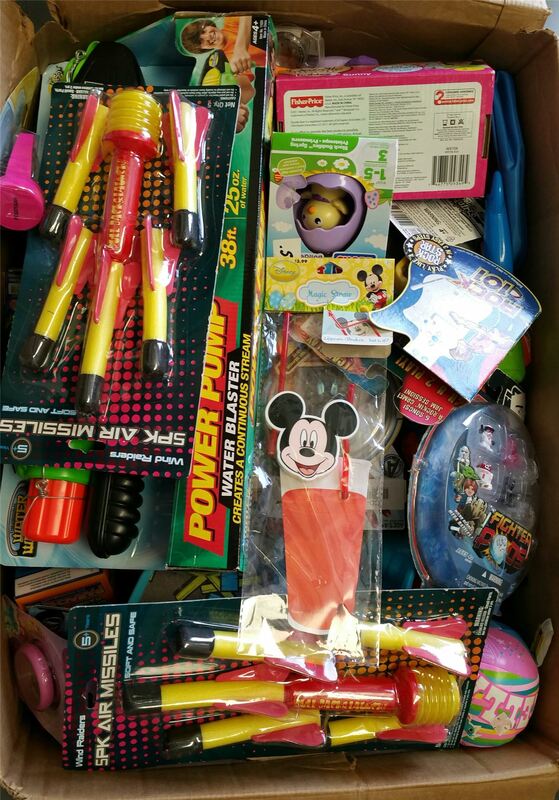 Click the button below to add the Wholesale Lot Assorted Toy Box A - Aprox. 100 pcs to your wish list.